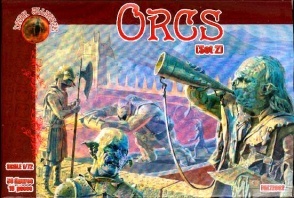 72002 Orc set 2 (Dark Alliance). 50 unpainted plastic figures. 10 different Poses. Material Plastic.